A 65-year-old male passenger from Canada who was sailing on one of the worlds largest cruise ships Independence of the Seas has gone missing. The ship which is operated by Royal Caribbean was making a scheduled stop at the popular Caribbean port of Grand Cayman. It’s understood that he went to bed with his wife at 1 am on new years eve and then when she woke up later the same morning there was no sign of him. The wife then reported him missing at approximately 7:55 am which is fifteen minutes after Independence of the Seas dropped anchor at Grand Cayman. Local Authorities have been searching the area but have not had any success. According to CNS the male passenger may have jumped from the vessel when it was 13 miles from the Cayman shore. 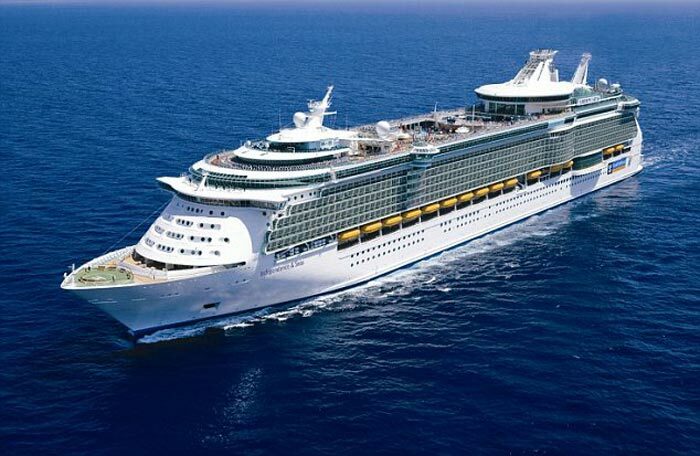 It was only the day before on December 30th when the coast guard called off the search of a 26-year-old male passenger who jumped overboard from Royal Caribbeans Adventure of the Seas. The passenger jumped last Saturday according to eye witnesses while the ship was sailing towards Puerto Rico. The passenger was also from Canada. Let us know what you think of this most recent sad event. Do you think it’s the time of year? Post your comments below.